When I signed up to be part of the Australia Day Book Giveaway Blog Hop, hosted by Book’d Out (click on below image), I had lots of ideas for what to write about. I was also going to do a giveaway for my new novel, When Rosa Came Home. Now, with the deadline looming, all those ideas have flown away. This year, I am far from home on Australia Day. Even so, there are signs everywhere that its Australia Day tomorrow. Walking along crowded Occheuteal Beach today (in Sihanoukville, Cambodia), I noticed a massive banner advertising a party cruise in honor of Australia Day – with Triple J Hottest 100 Countdown to get people in the mood. The ‘bring an Australian flag and get a bucket’ of booze promotion captures what Australia Day has become to many – and how we are perhaps seen by others. Then a couple of children approached me, selling string bracelets, and asked where I was from. When I said Australia, they pointed to the sign. I froze…that’s not what Australia Day means to me. Australia Day means different things to different people – and that’s okay. Personally, I’ve always had mixed feelings about the day, and tend to keep low. While I am proud to be Australian, and even more glad to have been born in Australia after the places I have been in the last week, Australia Day is awkward. I can’t bring myself to celebrate the birth of a nation – on the date of an invasion that has had long-term consequences for the First Nations people. As a person of Aboriginal descent, it would feel wrong to fly the blue flag on that particular date. And to fly the red, black and yellow flag, of which I have a deep pride in, is still not widely acceptable. It should be though. 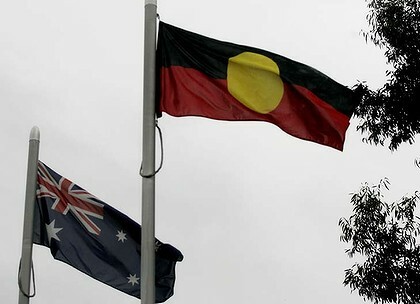 Every Australian should be able to see that flag and know the real history (and cost) of colonisation. Originally, this blog post was to be a deep discussion, sprinkled with historical facts and a bit of Aussie humour. Honestly, I can’t find the words. Not after the last few weeks, what I’ve been through (see previous posts). Instead, I’ll say that I’m missing my homeland and looking forward to getting back on Australian soil. Still, as usual, I won’t be celebrating Australia Day. Not until the date is changed. As I type this, the bars on the beach are getting into the party spirit early, with fireworks and music. Earlier tonight I was entertained by people, from many countries, singing along to what they think are iconic Australian songs. Back home, I hope that people enjoy their long-weekend, however they choose to spend it. And I hope that they spare a thought for the high cost others have paid to enable them to now call Australia home. You know, I had to dig deep to ‘celebrate’ on this day because it changed the future for Indigenous Australians. I suppose though i’ve come to accept that it’s not going to change – it should be 1st Jan as that’s when ‘Australia’ as an nation began in 1901. I’ve come to see Australia Day for the positives in Australia and how lucky I am to live in this country and hope for a better future for all Australians. Usually the day is quiet – participating in this blog hop, and watching the tennis. So true, Karen, especially your last sentence. Many, especially indigenous people, have paid a high price for us to be able to call Australia home. I’m not convinced that the average Australian thinks much about “Australia day”, ‘cept that it’s a holiday and we’re supposed to do ‘Australian’ things. In the 21st century, indigenous land is still being stolen from disempowered tribes all over the world, I guess if we were to start talking about that in the media then people might start to realise what “Australia day” means to some people.